A place on the internet where we can find more information(Web pages) on related topics under a single domain name. Although there are many ways to make money online, as far as my knowledge one of the best and genuine way to make money online is by having your own website and generating income through it, its called blogging. A website is your identity, your address on the World Wide Web, where your customer can reach you out and where you share your information and promote the products. First thing I want you to decide is “What is your website is all about?” whether it’s going to be for your local business or for connecting with people or just like information sharing or Niche site. 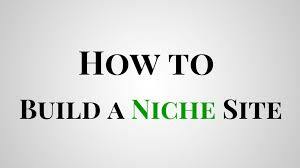 A niche site is a site with specific topic or interest. Also, we can say it’s about creating a site for a common group of people with same interest. So you need to identify your interest!!! the one which you are passionate about…You can learn about the list of Niche you can select HERE. I am going to make it very simple for you about creating a website and how to make money via your website. Cool not to worry about those 5 requirements as I said I am going to help you with that. WordPress is an online website creation tool. It’s the easiest and most powerful blogging and website content management system (or CMS) in existence today and recommended by experts. Here are some benefits to using. 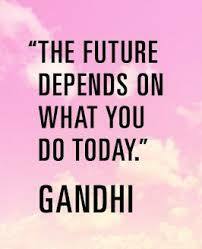 The first step you need to do on your own (I can help you to find your niche or interest), the second and third step, we will guide you, teach you and help you and the fourth step is yours. 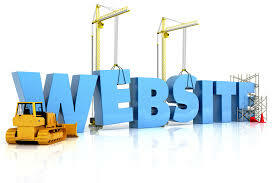 Few years before, building a website is just like a rocket science where you need to put a lot of efforts and learning but nowadays you can build your website just in a few seconds (Thanks to the technology) and I will help you on that. Not only building a website is easy nowadays, but the best thing is also you can get it for FREE yes its true. You can get your free website within minutes. As I said, I can help…but only if you are willing to take action on the help I give you. If you want a website in less than 5 minutes from now you are going to need to take 3 steps. And just like that, you are going to have your very own, fully functional website up and running. You can create a website in under 30 seconds. Website building is made very easy and the above video can make you realize that building a website is not a rocket science. Need help with your website or anything I discussed here? Like your post, you have done a great job. Your post is informative and very easy to follow. Great breakdown. I am sure that your readers will like what you are sharing. Thanks a lot for those encouraging words.